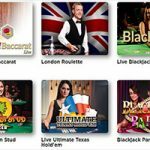 Slotland Casino has been a safe place to play unique online casino games since 1998. 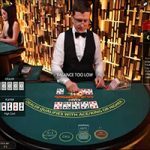 Launching the Casino website feels like going back in time, but while it may not offer visual thrills, there are certainly plenty of other things to make your heart race. Their games are unlike anything you’ve seen so far and attractive special deals come with very favorable conditions. Their proprietary software, acceptance of multiple cryptocurrencies and the fact they welcome US players are some of the things which set them apart from the competition. An impeccable reputation, built and maintained over the period of 20 years, is the best guarantee your personal details and money will be kept safe, and winnings paid promptly and in full. Slotland is operated by Slotland Entertainment S.A. based in Anjouan, Union of Comoros, and that’s also where the Casino is licensed. If you haven’t got a clue where that is (Casino Bloke didn’t, but hey, there’s no shame in admitting not to know something! ), Wikipedia will readily answer: “The Union of the Comoros is a sovereign archipelago island nation in the Indian Ocean located at the northern end of the Mozambique Channel off the eastern coast of Africa between northeastern Mozambique and northwestern Madagascar”. There, now we’ve all learned something! To tell you the truth, this is the first Comoros-licensed casino we’ve entered so further investigation had to take place, but all it revealed is a complete lack of any scandals or issues. For a casino operating for as long as Slotland has, that’s huge. 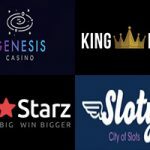 Just to mention that the operating company owns a couple of other well-rated gaming sites, CryptoSlots Casino and WinADay Casino, and in 2000 they also launched a free slots tournament site FreeSlot.com. At Slotland, all financial transactions are secured by what they call “military grade encryption”, non-live games use Random Number Generator which determines their outcome, and all bets and wagers are recorded. Owned by: Slotland Entertainment S.A.
Slotland will welcome newly registered players with a package worth up to $1,000. The bonus money is handed over with their first 10 deposits, the initial one matched 100% and the following nine 50%. Codes WELCOME1 to WELCOME10 have to be redeemed before you make a deposit. Want some more good news? 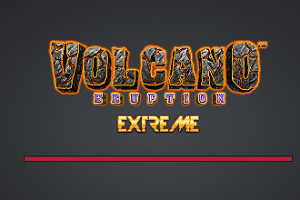 Here it is: these bonuses are subject to super-low play-through requirements of x12. Generous! As far as game contributions go, you’ll find that slots count 100%, Video Poker games 20%, and Keno 50%. There’s an unusual condition attached, requiring players from Argentina, Azerbaijan, Bangladesh, Brazil, Hungary, Poland, Romania, South Africa, Tanzania and the United Kingdom to meet 5x higher wagering requirements than those specified with a particular promotion. Sorry, guys! There are a few other freebies advertised on the website and more to come straight into your inbox. Monthly Mystery Reload Bonus comes in the form of a 30%, 50% or 100% deposit match (45%, 75% or 150% for VIPs). 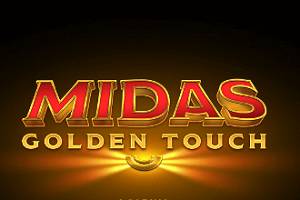 To find out how much you’ve received, you’ll have to read the Casino’s monthly newsletter and play the mini-slot game, after which they will send you bonus code and explain how to claim the gift. Attached wagering requirements are again low 10x. If you make a single deposit during the week, you’ll automatically enter Weekly Draw and potentially earn $10, $100 or $500. Each deposited dollar earns you one ticket, and each additional ticket increases your chances of winning. If you collect a prize, it will only need to be played through once. Every time you fund your account with more than $1,000, the Casino will give you $100 bonus and continue handing over the same amount for every multiple of $1,000 deposited. There’s also a list of Special Match Bonuses available on the website, and in order to claim, you’ll need to log in on the day a particular code is valid a redeem it prior to making a deposit. Finally, there is a VIP program with 3 levels – Bronze, Silver and Gold. To reach Bronze level, you’ll have to deposit a total of $3,000 but then you’ll be able to benefit from a special $50 Welcome Bonus, 100% Match bonus code which can be used on any deposit, an increased Cashback bonus of $110, exclusive VIP promotions, twice as many tickets in the draw than regular blokes, and a 50% higher Monthly Bonus. Obviously, painting your status silver or gold further boosts each of these elements. NetEnt and Microgaming slots might be featured pretty much everywhere but don’t expect to find any at Slotland. 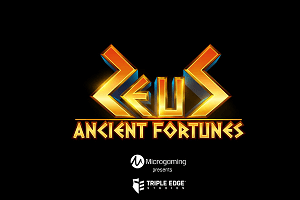 These guys are creating their own games and thus making their portfolio different from that of any other online casino. While some might find this disappointing, Casino Bloke considers it refreshing, especially because some of the titles they offer are completely unique. The only thing is, games can be previewed before one registers, but in order to play an account has to be opened. And not only that! There’s no free-play so you’ll have to make a deposit before trying what Slotland has to offer. Bummer! The Joker’s Tricks slot, for instance, offers a Free Spins bonus which you yourself can activate, and you should do so when your favorite trick is active. Let us explain! Landing 3+ Joker symbols activates a trick – Double or Expanding Wild or Double Win. Each time you hit 3+ Free Spin symbols, you’ll collect 1 free game, and you can keep stashing them until your chosen trick activates. 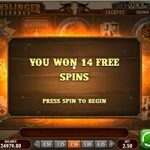 Then you’ll simply press Free Spins button and start counting money. 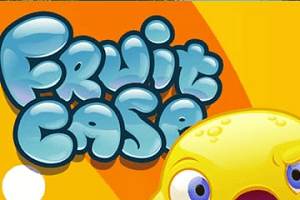 If you like classic fruities but still appreciate added win opportunities, launch Reel Riot. The game plays with 3 reels and a single payline, allowing the player to use “Hold” button below each reel to hold up to two reels during every spin. Landing 3 Double Wild symbols launches the Bonus game which separates the area into 3 horizontal lines and replaces standard symbols by numerical and STOP icons. In the beginning, only the bottom line is active. 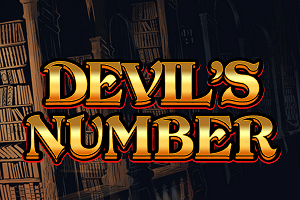 Hitting a number multiplies the bet accordingly, hitting a number with an arrow additionally moves you one payline up, and hitting STOP symbol ends the bonus game. What you’ll want to see are 3 DoubleWild icons on the payline while betting max because that’s how you win the progressive jackpot. Slot 21 is a combo of a classic slot machine with 21 paylines and popular Blackjack card game. Collecting A, K, Q and J unlocks the bonus game in which you play against the bank for the best hand to win as much as 200x your total bet. Slotris, a fun hybrid of a slot game and Tetris, is a 3-reel, single payline affair with two game areas – the slot machine on the right generates symbols which are then played in the Slotris game area on the left. 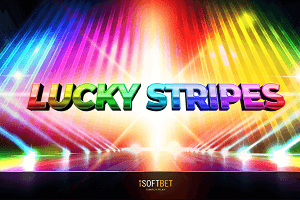 There are two ways to win: by lining up 3 symbols of the same color and shape in the slot machine, or by making a horizontal line in the Slotris field. You can control how symbols fall by clicking on the one you wish to land first. It’s a must try! Selection of other games is so small we might as well list them all. 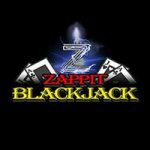 The majority are Video Poker games, namely Jacks Or Better, Double Bonus Poker, Aces & Eights, Deuces & Joker Wild, All American, Tens Or Better, Joker Wild, Progressive Jacks Or Better and Wild Heart. And then you’ve got Keno 101 – that’s about it! It’s sad but true, Slotland offers zero live dealer games. 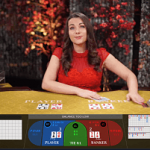 Slotland promises to deliver “a Vegas experience that fits into your pocket” and all it asks from you is to provide an iPhone, iPad, Android smartphone or tablet, or Windows Phone. There are no native apps to download and install; just open your internet browser and enter www.slotland.eu. What you’ll find is 37 games, which is obviously not a lot but will do if you’re queuing up in a bank or looking to get distracted while waiting for a dentist appointment. Slotland not only accepts traditional and frequently featured payment methods like Visa, Skrill and Neteller, but also Bitcoin, Litecoin and Bitcoin Cash. All transactions are executed in US dollars and all deposits processed free of charge. Once you decide to take some (or all) money back, Visa will no longer be available but you’ll be able to use Checks and Wire on top of the other options. Cryptocurrency cash-outs are processed the next business day and all others on Tuesdays – there’s another motivator to pay with digital currency, in case you needed convincing. The minimum withdrawal amount depends on the chosen payment method and ranges from $100 to $300. 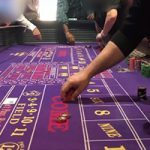 Should you happen to win more than $5,000, you’ll need to contact the Casino and make special arrangements for cash withdrawal. 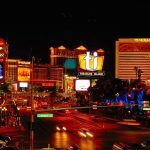 Before you attempt to speak to one of the Casino’s employees, you may want to check what information is available within the FAQ section. The list addresses payment matters, explains how and why to use cryptocurrency, offers details related to security and licensing, and answers several other miscellaneous questions. If that’s not enough, contact live agents and ask them for help. The operator’s customer support team is available 24/7 and capable of answering any queries. You can write them an email using one of the email addresses provided for different purposes, or get instant assistance by launching Live Chat. Respect for the player is written all over the Slotland’s unpretentious site and combined with what we’ve learned through a bit of background research, Casino Bloke has no doubts each one of you will be treated fairly and respectfully. Slotland games may be old(ish) but they’re so creative nobody will mind, and you may not even miss any of the big hits developed by omnipresent industry leaders. After all, you can play those more or less anywhere else. If only the operator would allow us to try them for free! The Casino offers a good amount of special deals and unusually low wagering requirements applied across all promotions are another good indicator they are out to help you rather than rip you off. In short, Slotland presents a completely unique approach in a world in which the word “unique” is usually applied to appearances rather than content.